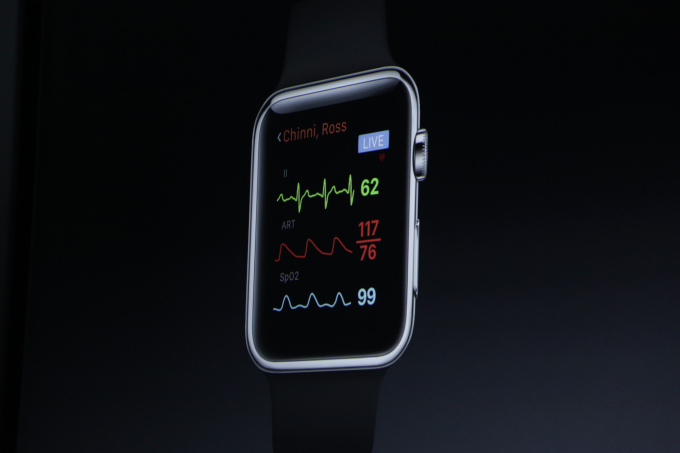 Apple announced a new Apple Watch app for healthcare providers today called Airstrip. The app can receive and view vital information sent over to physicians by nurses and staff. Co-founder of Airstrip Dr. Cameron Powell took to the stage at the Apple live event this morning to demonstrate how the app works with the human body – including monitoring heart rate, contractions during child birth and the ability to differentiate between the baby and the mother’s heart rate. The Watch’s heart rate monitor is already highly accurate, and this app adds even more dimension to what is possible through developers interested in healthcare. Airstrip’s Sense4Baby system allows doctors to monitor prenatal health outside of the hospital. The HIPAA-compliant Airstrip app technology can also monitor and detect pregnancies at risk of stillbirth. The addition of the Apple Watch app allows mothers-to-be the ability to be in constant communication and get up-to-date results during their pregnancy.